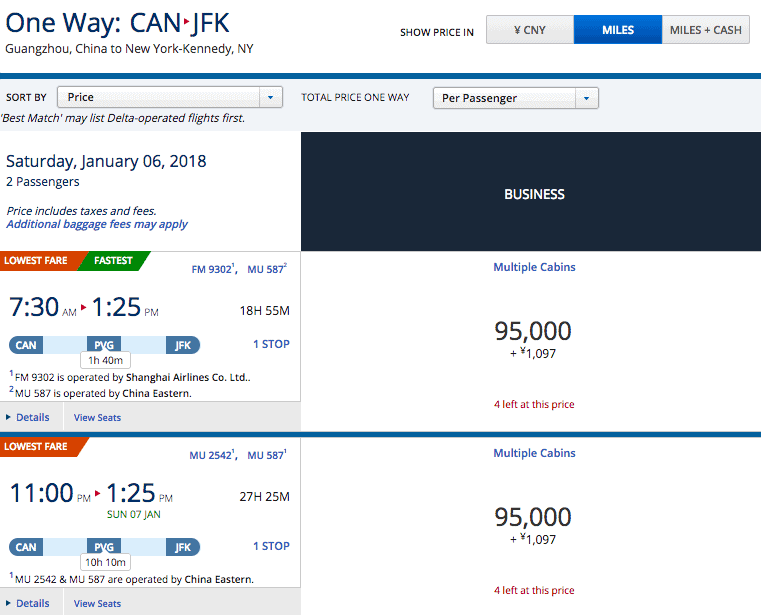 Did Delta just increase US-N. Asia partner awards from 95,000 to 125,000 and “forget” to tell us? Advertiser Disclosure: MilesTalk has partnered with CardRatings for our coverage of credit card products. MilesTalk and CardRatings may receive a commission from card issuers. This site does not include all financial companies or all available financial offers. The editorial content on this page is not provided by any of the companies mentioned, and have not been reviewed, approved or otherwise endorsed by any of these entities. Opinions expressed here are the author's alone. But us MilesTalkers know that there is a hidden award chart that sets the price for award redemptions and we also know Delta loves to change these without notice. 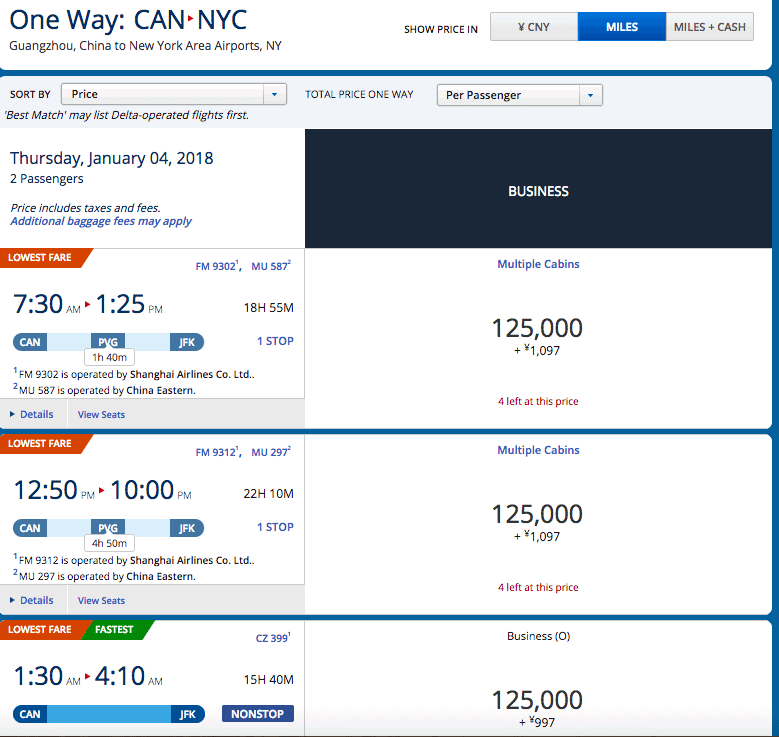 They apparently want to see how much they can pull the wool over our eyes before we actually impact their bottom line by trying to accrue miles anywhere but on Delta. In April, Delta did a major devaluation, where US-Europe on a partner airline (Virgin Atlantic) went from 70,000 to 85,000 and even 105,000 one way within 21 days of departure. US- North Asia went from 80,000 to 95,000 miles when using a partner. This past week I have been getting very mixed results on a one-way award from China to the US. For the last month all partner awards (on China Southern from Guangzhou or China Eastern from Shanghai) were pricing for me at 95,000 miles. Suddenly, this week, I am getting a mix of award pricing for the same one route on the same partner airlines. Sometimes it’s 95,000 Skymiles. But now all of a sudden it’s sometimes 125,000 miles – more than a 25% increase!! And of course, no warning and no communication. Now, this may be a false alarm. Delta has done all sorts of either mistakes or tests recently, like increasing taxes on Ex-US awards to Europe to include massive surcharges only to roll those back a few days later. But I can’t discern any real reason for the discrepancy from day to day (and it changes each time I search). Because Delta won’t communicate directly with its customers on award pricing, we don’t know if this is an actual change, a change being considered, or a system bug. Speaking of system bugs, the inventory Delta.com shows for China Southern and China Eastern tend to have tons of “phantom” availability Meaning it may say 4 seats available when there are really 0 or 1. I’ve confirmed this both by calling the Delta Medallion line and checking it against Expert Flyer. If you are looking to book a US-North Asia award on a partner airline, I’d try to book now if you can get it for 95,000 Skymiles. Has anyone else noticed these price changes? 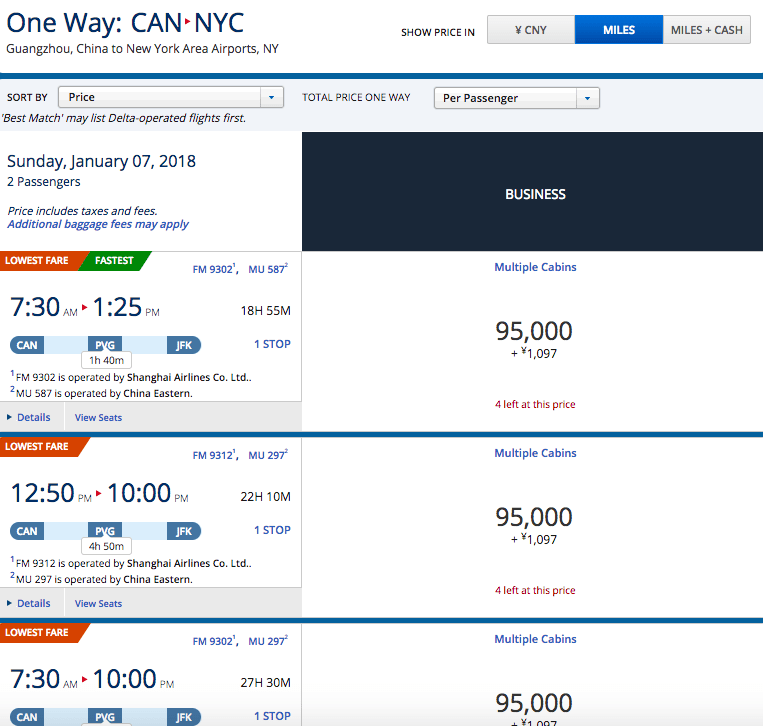 Thoughts on how Delta plays games with award pricing?